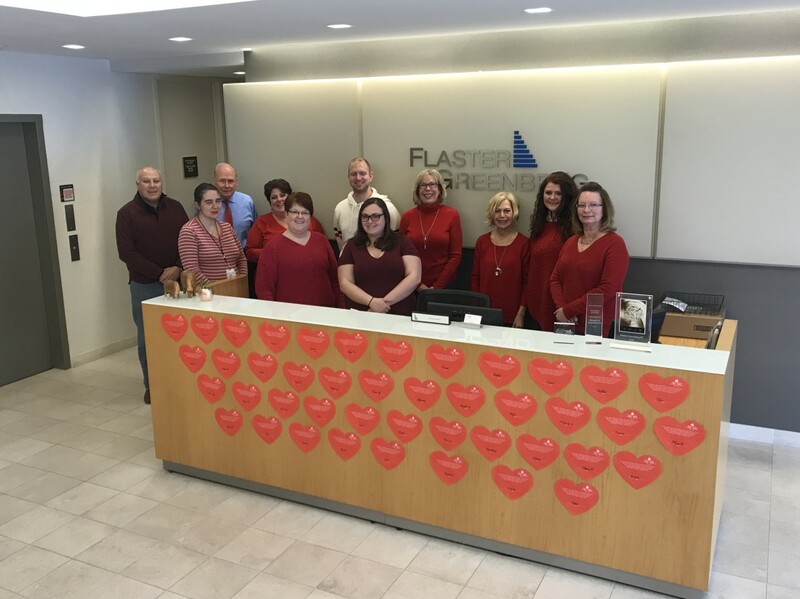 On Friday, February 1, 2019, Flaster Greenberg (FG) participated in a nationwide 'Wear Red Day' in an effort to support the American Heart Association's Go Red for Women movement. Each employee interested in participating was given a 'Go Red Dress' lapel pin or magnet for their contribution. FG employees raised $315 for the cause, which will be donated to the American Heart Association. The American Heart Association’s Go Red for Women movement is a program that builds awareness, urges women to take action to reduce their risk of heart disease and raises necessary funds for vital research and education. According to the American Heart Association, before they introduced the Go Red campaign, people were largely unaware of the impact that heart disease has on the female population in the United States. For more information on the American Heart Association's Go Red movement, click here. Did you know heart disease, stroke and other cardiovascular diseases are the NUMBER ONE leading causes of death among women? One in every 3 female deaths in the United States is due to cardiovascular disease.